The "Lift" type is our most popular gas spring. 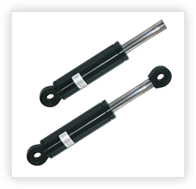 A standard Lift type gas spring works on counterbalance basis, i.e. the extension force balances the weight to be lifted, positioned or lowered. They meet the highest worldwide standards for lifting, counter-balancing, lowering, tilting and damping lids and covers. There are thousands of applications where the Lift type can be used. 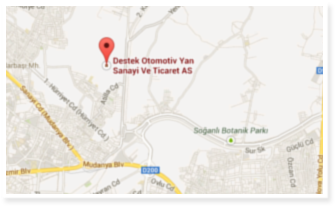 The most known are on the car hatchbacks and engine hoods, on furniture, machinery, etc. A wide range of size options are available covering rod diameters from 4 mm to 65 mm, tube diameters from 12 mm to 120 mm and extension force (F1-N) from 10N to 50.000N allowing you to have your individual Gas Spring. The "Inoxlift" type is the stainless steel made of, our most popular gas spring the “Lift”. They are preferred if corrosion resistance is paramount and a high level protection against corrosive environments is mandatory. Go to “Inox Series” for further information. The working principle of the GT-Lift is the opposite of the Lift type gas spring. While the Lift type gas spring is always prepared to extend (i.e. to open lid and covers) the GT-Lift’s function is to retract itself. A wide range of size options are available covering rod diameters from 8 mm to 28 mm, tube diameters from 18 mm to 40 mm and extension force (F1-N) from 50N to 5.000N allowing you to have your individual GT-Lift. Stainless steel made GT-Lift (Inox-GT-Lift) gas springs are also available on request. Dimensions, end fittings as well as order descriptions are almost the same as for our standard GT-Lift range. Go to “Inox Series” for further information on stainless steel gas springs. 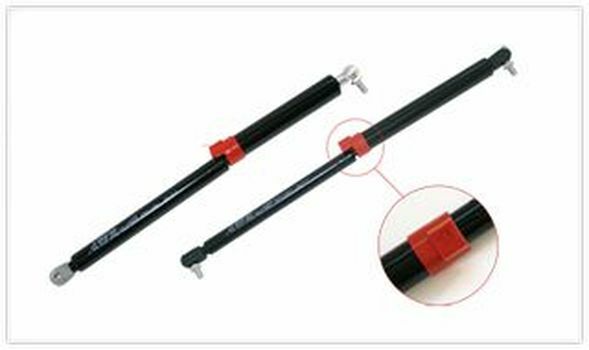 Common applications of our GT-Lift gas springs are garage doors, exhaust systems, machinery, horse transport trailers, etc. 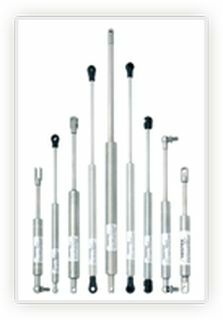 All gas springs are force supplying units which provide easy control for lifting, counter-balancing, lowering, tilting and damping lids, covers and weights. Some applications require multi-position holding capability over the entire stroke range in addition to the force supply feature of gas springs. 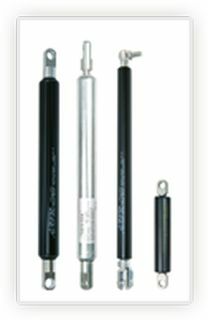 For such applications we offer our Stoplift gas spring which enables multi-position holding without need of an outside stop or support. The only difference to the Lift type gas spring is a special locking element integrated in the piston package. Designed and engineered to fit your individual application the Stoplift allows fingertip control and easy movement of the weight to any desired angle between open and closed positions. For example, delicatessen counter doors that swing upward are held open at any angle. Once the position is set by user the gas spring will remain in its position until an additional force is applied to re-set the position. The Stoplift is ideally suited for a wide variety of applications where a weight must be able to be raised and held at any angle without an outside stop or support. Common applications are for sunbeds (solarium), monitor arms, delicatessen counters, automotive hatchback doors, etc. Stoplift made of stainless steel materials (Inox-Stoplift) gas springs are also available on request. Go to "Inox Series" for further information. The Step-Stop is a multi-section operating gas spring dividing the opening stroke into multi distinct sections for desired flap positioning. The Step-Stop operates much like a normal gas spring in that it allows a lid or door to open to a desired position and lock internally. The travel of the gas spring within holding points can be either with free travel (like normal Lift gas springs) or with multi-position holding capability over the selected stroke section (like Stoplift gas springs). The multi stroke sections are achieved by grooves and holding points on the tube. The Step-Stop gas spring stops at each holding point and will not operate until it is reactivated by an additional break away force, thus enabling multi positioning on your applications flap, etc. Step-Stop gas springs are available with as many stroke sections as required. The Step-Stop is a special order item only and can be custom designed to fit your individual application. Please contact us and our engineers will be pleased to assist you in designing the Step-Stop into your application. 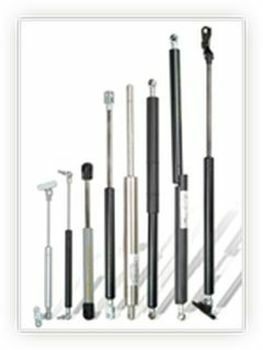 Applications where the gas spring is subject to uncontrollable forces which exceed its extension force. Custom sized to fit your individual application. Lift&Lock-LT : provides end position locking at fully extended position by an additional automatic locking / safety tube. For details. Lift&Lock-LE : provides end position locking at fully extended position by an integrated locking element. Lift&Lock-LC : provides end position locking at fully compressed position by an integrated locking element. Lift&Lock-LD : provides end position locking at fully extended and fully closed position by an integrated locking element. The LKD range is our heavy duty range of gas springs. This range is build of piston rod diameters ranging from 25 to 65 mm and tube diameters ranging from 50 to 120 mm. They are designed and engineered to fit heavy duty applications requiring forces from 740 kg to 5000 kg. The LKD is ideally suited for a wide variety of applications in the machinery industry. The LKD type is, due to its very high pressure, subject to the European Pressure Equipment Directive. Designing, manufacturing and testing of Destek Gas Springs have been approved according to the European Pressure Equipment Directive (97/23/EC) also known as PED. The Pressure Equipment Directive (PED) replaces all previous European legislative laws covering designing, manufacturing and testing of pressure vessels. Please contact our sales department for further information on our LKD range.